The age of experience is by no means limited to products and services. Many hospitality brands have been embracing brand experiences to better serve the needs and wants of their consumers. For places like bars and nightclubs, using experiential has been crucial in differentiating themselves and, in some cases, contributed to the survival of the establishment. In an effort to provide an elevated experience for customers, Desperado’s partnered with Stonegate venues to bring GIF booths to consumers. Equipped with fun props, consumers were able to take GIF photos that they could share with their social media followers. 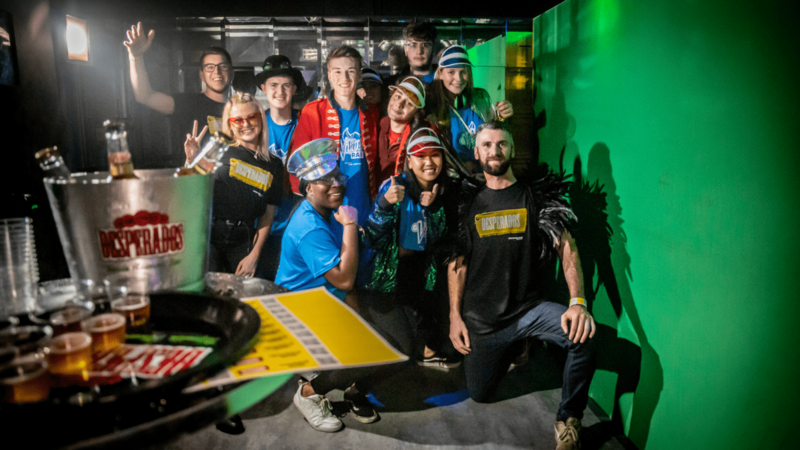 In addition to the GIF photo booth, Desperado’s saw an opportunity to further build a relationship with consumers by passing out samples and creating a contest in which people could win Sonos One Speakers. To ensure everything was executed perfectly, Desperados enlisted the help of Elevate Staffing to provide customers with the best time possible.